Founded on Kauai in 1929, the American Lung Association in Hawaii is the oldest private non-profit voluntary health agency in the state and is part of the nationwide organization fighting for air. Lung health programs in Hawaii focus on asthma management, tobacco prevention and cessation, and indoor air quality. 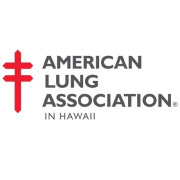 Would you recommend The American Lung Association in Hawaii?